Jack Walton and Danny Williams. Hunslet RLFC have re-signed back-row forwards Jack Walton and Danny Williams on 12-month contracts. Walton, 22, previously played for Wakefield Trinity and Castleford Tigers. He joined Hunslet from Doncaster RLFC at the start of the 2017 season and went on to make 15 appearances scoring two tries. Williams, 28, first joined Hunslet in 2016 and made 23 appearances scoring two tries before returning to the amateur game. He returned to the club in 2017 and went on to play a key role in the club lifting the League One Shield. 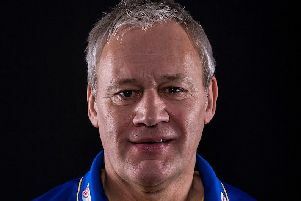 Head coach Gary Thornton said: “I’m really pleased to have retained both Danny and Jack for next season. Both contributed really well towards the back end of the season and were both instrumental in our successful run up to wining the League 1 Shield. “Jack showed a really good attitude towards the League 1 Shield 8’s competition, and he got better week by week. He is developing further with each season he plays at this level, and has good utility value as he performs equally well in the front or back row. “Jack’s a good character to have around the place and applies a professional attitude to training and playing and I’m hoping he has a big season for us next year. “I brought Danny back to the club after he was released by the previous coach, as I recognised his value to the group. “When I coached against Danny I always highlighted him as a strong defender and carrier of the ball, so I was keen to get him back into the squad.